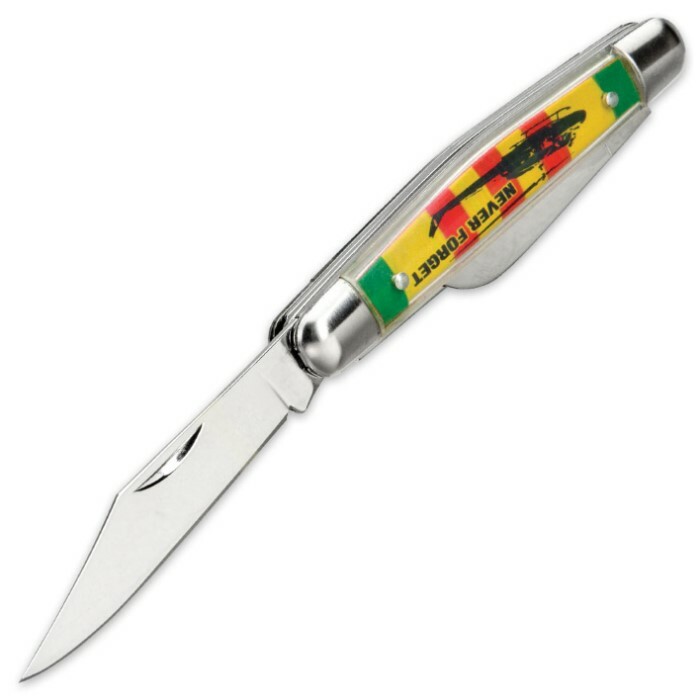 Vietnam Veteran Stockman Pocket Knife | BUDK.com - Knives & Swords At The Lowest Prices! 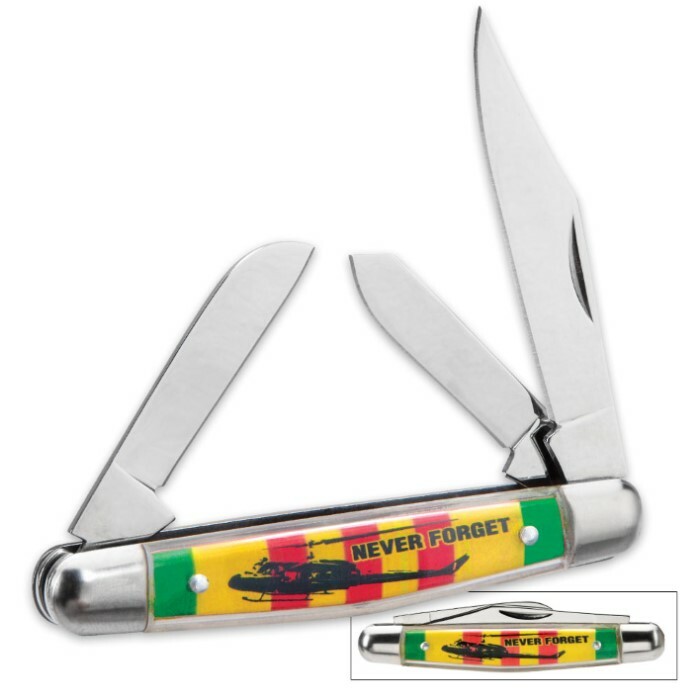 Our new Vietnam Veteran Stockman Pocket knife reminds us to not forget our veterans of this war! The three blades are constructed of 3Cr13 stainless steel with a satin finish. 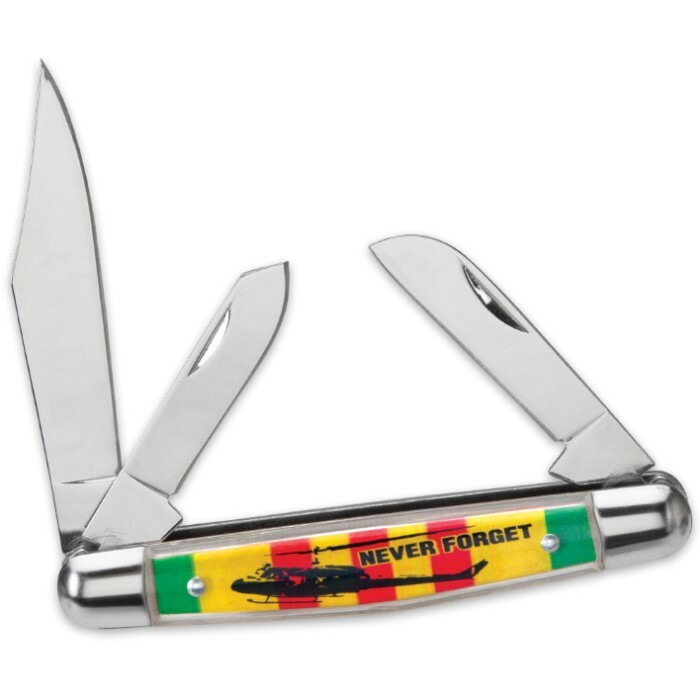 The ABS handle features a full-color Vietnam helicopter design, urging us all to "Never Forget and polished silver bolsters!"